Pursuant to Clause 1, Article 4 of the Law on Export Tax and Import Tax No. 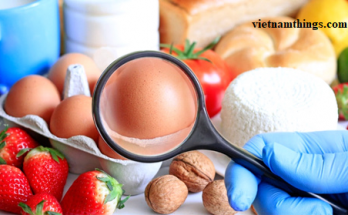 107/2016 / QH13: “ Free trade zone means an economic zone located within Vietnam’s territory, established in accordance with law, having a definite geographic boundary, and separated from the outer area by hard fences in order to facilitate customs inspection and customs control by the customs authority and relevant agencies with regard to exports and imports, inbound and outbound vehicles and passengers; the trading relationship between the free trade zone and the outside area is consider exportation and importation.”. Pursuant to Clause 2, Article 8 of the Law on Export Tax and Import Tax No. 107/2016 / QH13: “2. The time for calculating export or import duty is the time of registration of the customs declaration. In case of exports or imports that are not subject to taxation, exempt from export or import duties, or applying in-quota duty rates or fixed duty but then the eligibility for tax exemption or in-quota duties is changed as prescribed by law, the time for tax calculation is the time of registration of the new customs declaration. – If EPE satisfies the conditions of the non-tariff area in accordance with Clause 1, Article 4 of the Law on Export Tax and Import Tax No. 107/2016 / QH13, importing materials from abroad for the production of export goods (the goods is exempted from import tax), After that EPE sell products to domestic enterprise, EPEs and inland enterprises carry out customs procedure as for on-spot imports and export. 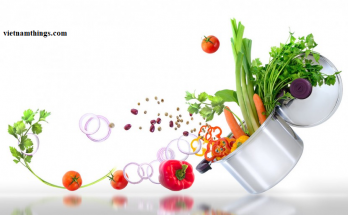 Domestic enterprises must pay importation tax of products purchased from EPEs under Clause 2, Article 22 of Decree No. 134/2016 / ND-CP. 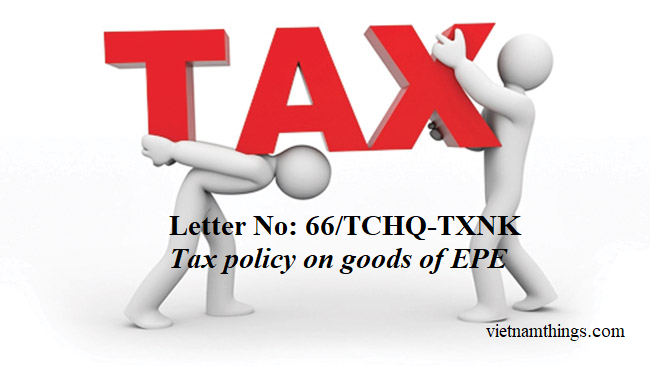 – If EPE does not satisfy the conditions of the non-tariff area in accordance with Clause 1, Article 4 of the Law on Export Tax and Import Tax No. 107/2016 / QH13, importing materials from abroad for the production of export goods (Registering the declarations according to the type of production for export) , After that EPE sell products to domestic enterprise, this is determined to change of purpose of tax exemption. EPEs and inland enterprises shall carry out customs procedure as for type of on-spot imports and export. 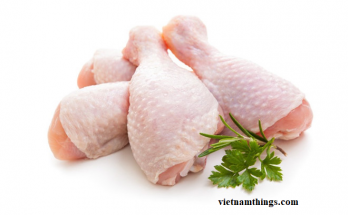 EPE must pay importation tax according to the provisions of Clause 5, Article 25 of Decree No. 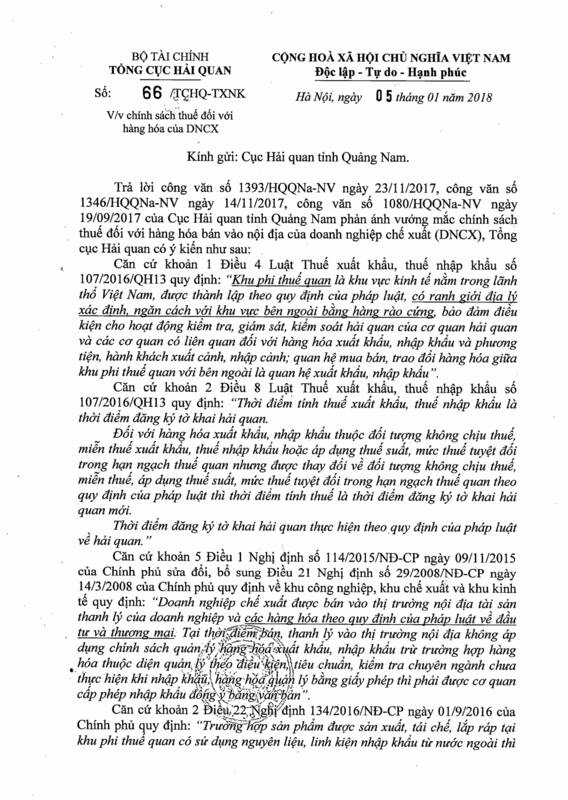 08/2015 / ND-CP, Clause 2, Article 8 of the Law on Export Tax and Import Tax No. 107/2016 / QH13. 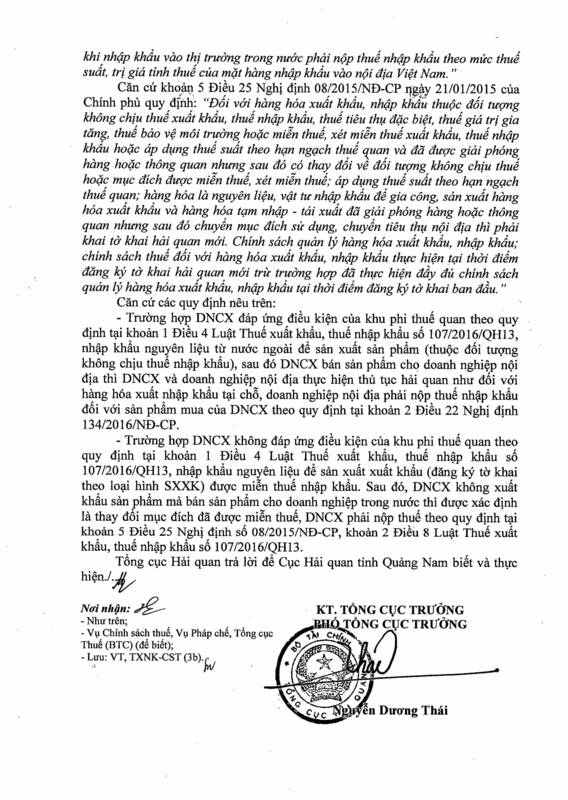 The General Department of Customs respond to the Customs Department of Quang Nam province for knowledge and implementation.